Since its creation in 2003, the Petrobras cultural program has sponsored over 4,000 cultural projects, and become one of the country's largest supporter of Brazilian culture. SÃO PAULO, BRAZIL – Petrobras announced that it is not renewing sponsorship contracts for thirteen large cultural projects around the country. According to Petrobras, the budget for sponsoring the arts is smaller due to the company’s resilience plan. As a result, audiovisual projects and projects in the performing arts which have already been completed will not be renewed. The annual São Paulo International Film Festival, held every October, is one of the largest events affected by the cut. “We are still looking for other sponsors, but we will do it regardless of how much money we get, even if it is smaller,” festival press officer Margarida Oliveira told news site G1. Festival coordinator Renata de Almeida believes the event was great for Petrobras’ image. “What Petrobras received in return as spontaneous media last year would fully justify reinvestment,” she said earlier this year when the company’s directors were still deciding about sponsorships. On their Facebook page, organizers of the Anima Mundi festival – another traditional event Petrobras is no longer sponsoring – lamented the decision. “Anima Mundi has faced an adverse scenario of funding since 2015 and in all these years everyone has always sought to adapt to contingencies while maintaining the quality and democratization of access to sessions, a good part of them free of charge,” wrote the directors of the largest animation festival in Latin America. Petrobras will also discontinue the sponsorship of theatre groups, music events and venues, and dance troupes. “After a long and fruitful partnership, we have received a statement from Petrobras confirming sponsorship cuts for the performing arts, film, and music, which includes the support that was being given to the Poeira Theater training, extension, and exchange projects. We regret this deterioration of the relationship between the federal government with the living forces of art, culture, and education,” said the Teatro Poeira – a theater study and performance institution – on social media. 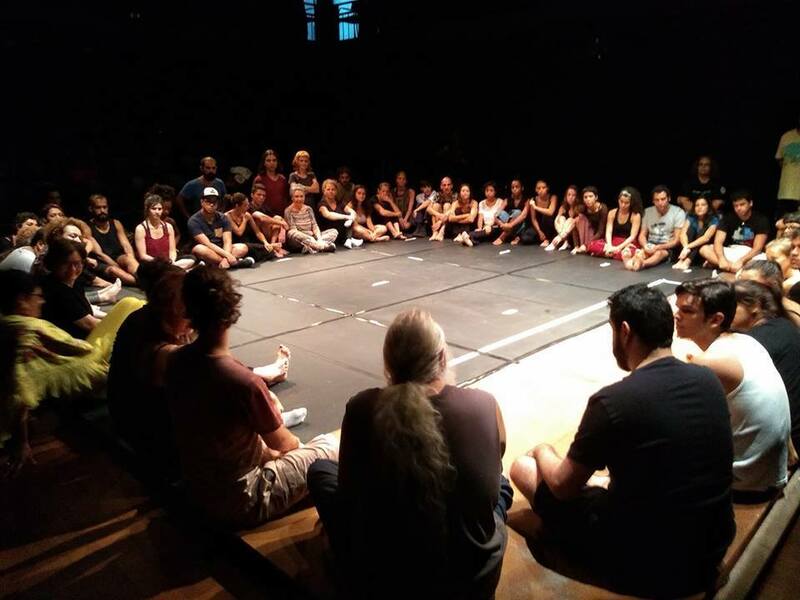 Actors at Rio’s Poeira Theatre, one of the venues that will not be sponsored by Petrobras this year, photo Teatro Poeira. Since its creation in 2003, the Petrobras cultural program has sponsored over 4,000 cultural projects, and become one of the country’s largest supporter of Brazilian culture. In 2018, the company invested a total of R$12.7 million in twenty-eight projects related to music, cinema, circus arts, dance, and theater. “It is unfortunate to see the current government destroying our country’s culture. However, we can understand. All reactionary and authoritarian governments seek to stifle culture and art, which are platforms for plural, free, and democratic expression,” said Ivan Valente, a federal representative for the state of São Paulo. Valente, along with politician Aurea Carolina Freitas e Silva, pressured Petrobras into disclosing their sponsorship plans for 2019.